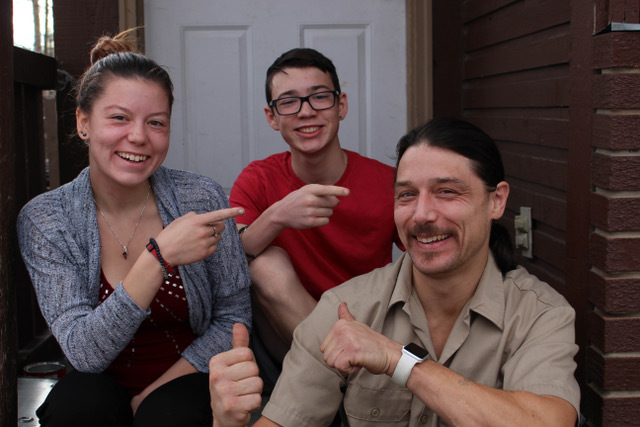 Jamie Martin couldn’t be prouder of the two kids he gave up during his years of drug addiction, and who he had the good fortune to reconnect with after he worked through the Calgary Drug Treatment Court. The three of them talk about their plans for Christmas when gifts will pile around the Christmas tree, waist deep, spilling from the living room into the kitchen. Do the kids get everything they wish for? “Pretty much,” says Justice, smiling. Jamie and his wife Patricia share seven children in one big, blended family. Their youngest is Jacob, 16 months, their first child together. A life of family and connection continually amazes Jamie, 36. Like many drug addicts, Jamie had a difficult childhood, growing up with alcoholism. He started drinking and using drugs as a teenager, eventually getting kicked out of home at 15 years of age. “The only thing I didn’t do was stick a needle in my arm,” he recalls of his use of cocaine, LSD, meth and mushrooms. Panhandling led to petty crime, breaking into cars, newspaper boxes and laundry machines. As he used harder drugs, he became homeless and bounced in and out of jail. By his early 20s, Jamie was the father of two children. 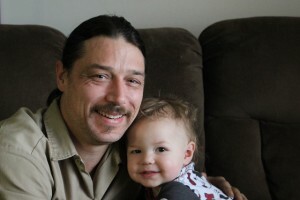 He graduated from the Calgary Drug Treatment Court in 2013 and credits the rigor and thoroughness of the program for getting his kids back, his subsequent marriage and becoming a new father again. For four years, Jamie has worked in asbestos removal, supervising five workers and driving a company truck. This Christmas, he expects all his kids will squeeze in around the tree and the mountain of gifts. He’ll be cooking turkey for dozens of extended family members. Jamie is living his dream – a never-ending gratitude for a life of purpose and connection.